AVAILABLE AT CLINTON LOCATION -- TONS OF OPTIONS AT AN AFFORDABLE PRICE!!! 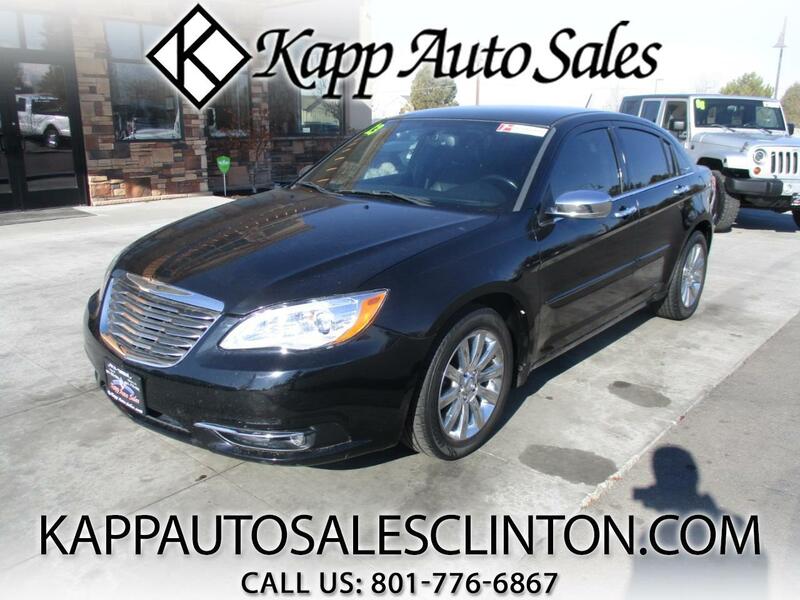 **FREE 3 MONTH/3,000 MILE WARRANTY AT LIST PRICE** CHECK OUT THIS 2013 CHRYSLER 200 LIMITED WITH 108K MILES AND FOR ONLY $7,995!!! THIS CAR HAS TONS OF NICE FEATURES AND IS A CLEAN TITLE VEHICLE WITH A CLEAN CARFAX!!! THIS THINGS LOADED UP WITH LEATHER INTERIOR, HEATED SEATS, PWR WINDOWS, LOCKS, MIRRORS, PWR SEAT, BOSTON ACOUSTICS STEREO, AUX INPUT, AUTO CLIMATE CONTROL, AUTOMATIC HEADLIGHTS, ALLOY WHEELS, TINTED WINDOWS, AND MUCH MORE!! !